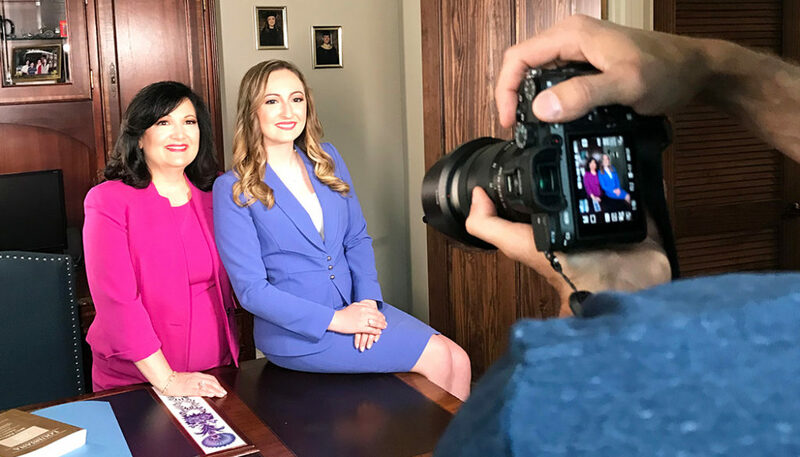 IN THE HEART of downtown Covington, a trio of mother, daughter and granddaughter serve as a powerful example of keeping the word “family” in family law practice. 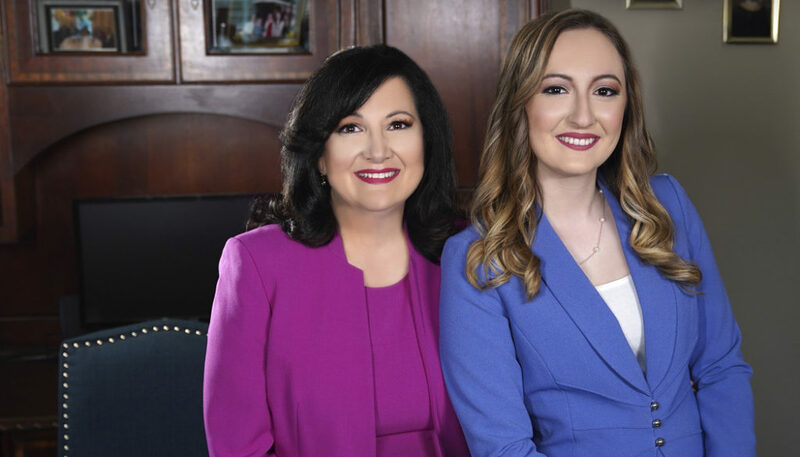 Collectively, Mary Beoubay Petruccelli, Tracy Ann Petruccelli, and Kristen Jeanne Pouey constitute the three-generation firm bringing legal representation and services to the community. The quaint, residential exterior of the building, designed by Tracy’s husband Richard Pouey, exemplifies the iconic style of the city’s historic district, though the building offers much more than a pleasant facade. When stepping through the front door, clients are embraced with an energy that’s a potent blend of empowerment, nurturing, focus, and drive. 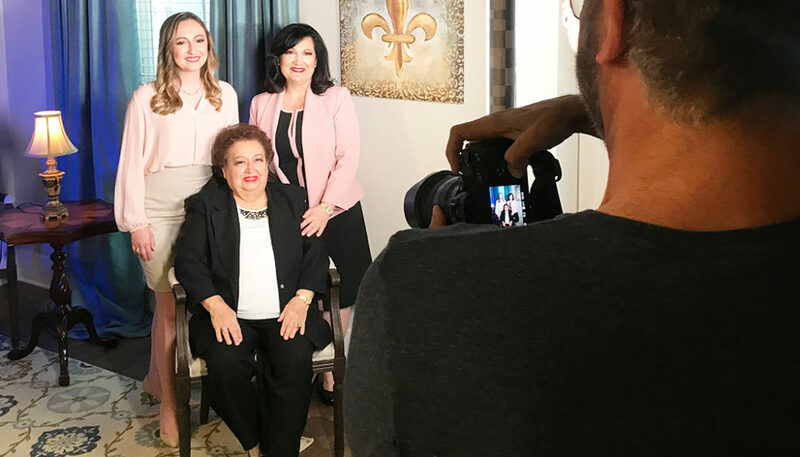 This dynamic trio’s story begins with matriarch Mary Beoubay Petruccelli, who grew up in Uptown New Orleans. Following her graduation from Fortier High School in 1955, she worked for a decade as a secretary at Loyola University. In 1963, she married Luca Petruccelli and the couple moved to Chalmette. Their only daughter, Tracy, was born a year later. Then tragedy struck. Just three years and three months after Mary and Luca had married, he passed away, leaving her to raise her 22-month-old daughter alone. The grieving widow was understandably uncertain as to what she should do next. After much soul searching, she made the decision to complete her college degree. Over the next four years, she attended night school at Loyola University earning her undergraduate degree in 1969. Then she set her sights even higher— a law degree. In 1973, after several more years of night classes at Loyola Law School, Mary earned her Juris Doctor degree. Of the 80 law students in her class, only five were women. 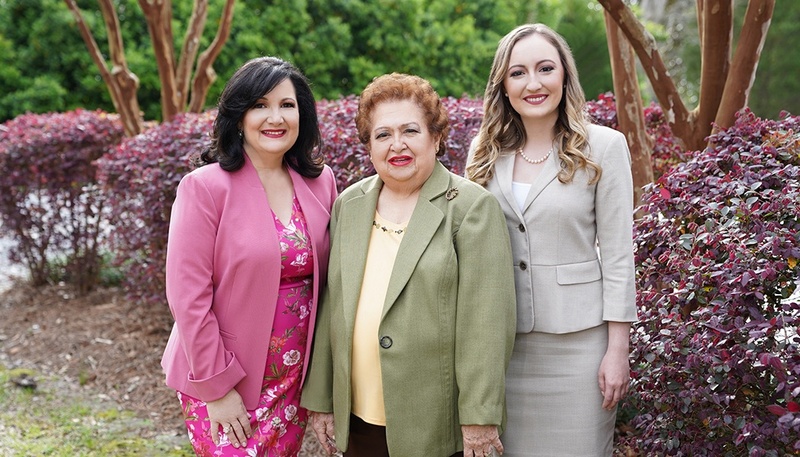 Her remarkable accomplishments opened the door for both her daughter and granddaughter.  In 1985, Tracy earned her undergraduate degree and in 1988 her Juris Doctor, both from Loyola. Kristen followed suit, earning her undergraduate degree from Tulane in 2014 and her Juris Doctor from Loyola in 2017. “It was absolutely incredible to grow up with two such amazing role models,” says Kristen. “I feel each of them is a powerful force in her own right. Anything men can do, Mom and Grammy can do better.” They beam. She smiles. The entire family—Mary, Tracy, Richard, and their children, Kristen and Trent—relocated to Covington. Kristen and Trent would eventually return to the Southshore to pursue higher education and are now neighbors in Uptown New Orleans. Trent is in the final phases of obtaining his CPA license. At Loyola, Kristen carried on a family tradition: standing out from the crowd. She received five Asterisk Awards denoting the top student in a given class. She also served on the Loyola Law Review before graduating in the top 10 percent of her class. Citing the importance of a well-rounded education, Kristen says she doesn’t regret the time she dedicated to studying medicine. The former psychology major says those studies have been a tremendous asset in her work. “So much of what we do in family law is based as much in psychology as it is in law,” she says. But the law isn’t the only passion these three ladies share. They can sum up the other in two words: Mardi Gras. Each of the ladies has reigned as queen of a Mardi Gras Krewe. For Tracy, that honor has been bestowed upon her on four occasions. Her husband Richard and son Trent have both also reigned as King. “We just love the pomp and circumstance, the crowns, the royalty, the balls, as well as watching and participating in parades,” says Tracy. “We love the whole New Orleans tradition!” It’s a passion inherited from Mary, who never missed an opportunity to parade with a krewe from 1967 through 2005. These days, Mary is often content to take in the festivities from the family’s condo, conveniently located on the parade route. 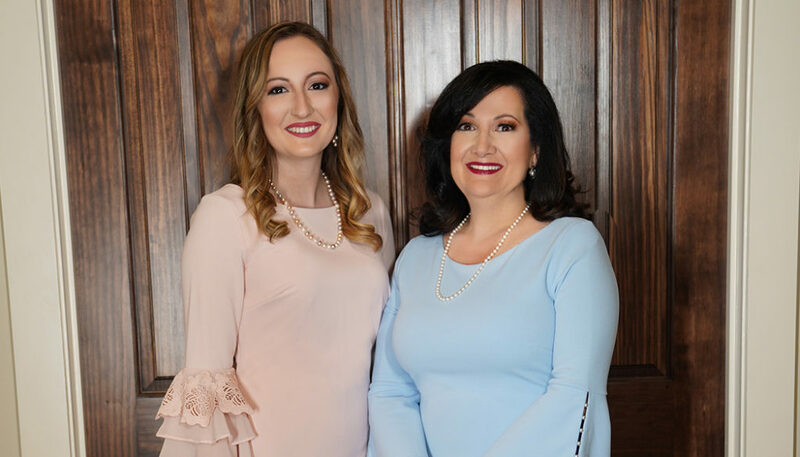 As for Covington, Mary says she loves the laid back pace of the community, while Tracy enjoys the myriad events that take place throughout the year, noting the concerts at the Trailhead and the art walks as among her favorites. Kristen loves the quaint beauty of Downtown. Petruccelli Law Office, LLC is located at 425 W. 21st Avenue in Covington. For more information please visit petruccellilaw.com or call 985-867-8966.